Leading Manufacturer of variable data printing machine, variable data printing machine with ir dryer, industrial inkjet printer, vdp machine, thermal inkjet printer and tij printer from Faridabad. Ours is an illustrious organization that is engaged in trading high quality Variable Data Printing Machine. The offered machines provide enormous flexibility to print variable data on small & big size sheets as per the users’ requirements. These machines are widely used for communication letters, numbering & bar code and travel & lottery tickets. Power Required (Approx) 7 H. P.
Power Supply 415 v/ 3 Phase/ 50 hz. We are a prominent organization that is engaged in manufacturing and trading a vast array of IR Dryer Data Printing Machine. The offered range meets the need of customers for flexible number, barcode, variable data and random data printing at industry leading prices. All these machines are widely used in scratch cards, personalized cheque books, addressing on envelopes and telephone & electricity bills. L x W 25" x 25" 32" x 42"
Power Supply 415 v / 3 Phase /50 hz. Ours is an illustrious organization that is engaged in trading high quality Industrial Inkjet Printer. The offered machines provide enormous flexibility to print variable data on small big size sheets as per the users’ requirements. These machines are widely used for communication letters, numbering bar code and travel lottery tickets. 415 v/ 3 Phase/ 50 hz. 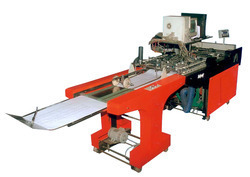 Ours is an illustrious organization that is engaged in trading high quality VDP Machine. The offered machines provide enormous flexibility to print variable data on small big size sheets as per the users’ requirements. These machines are widely used for communication letters, numbering bar code and travel lottery tickets. Ours is an illustrious organization that is engaged in trading high quality Thermal Inkjet Printer. 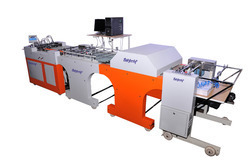 The offered machines provide enormous flexibility to print variable data on small big size sheets as per the users’ requirements. These machines are widely used for communication letters, numbering bar code and travel lottery tickets. Ours is an illustrious organization that is engaged in trading high quality TIJ Printer. The offered machines provide enormous flexibility to print variable data on small big size sheets as per the users’ requirements. These machines are widely used for communication letters, numbering bar code and travel lottery tickets. Ours is an illustrious organization that is engaged in trading high quality Continuous Inkjet Printer. The offered machines provide enormous flexibility to print variable data on small big size sheets as per the users’ requirements. These machines are widely used for communication letters, numbering bar code and travel lottery tickets. 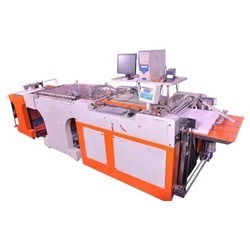 We are a prominent organization that is engaged in manufacturing and trading a vast array of Automatic Variable Data Printing Machine. The offered range meets the need of customers for flexible number, barcode, variable data and random data printing at industry leading prices. All these machines are widely used in scratch cards, personalized cheque books, addressing on envelopes and telephone electricity bills. 415 v / 3 Phase /50 hz.